Last week, the Climate Trust, a mission-driven nonprofit that specializes in climate solutions, with a reduction of 1.9 million tons of greenhouse gases to its name, announced its second annual prediction list of 10 carbon market trends to watch in 2015. The second compliance period for California’s cap-and-trade system began the first of this year. Distributors of transportation fuel and natural gas have officially joined the ranks of other capped, covered entities, and with the addition of these fuel distributors, the emission cap immediately more than doubles in size. As a result, The Trust predicts that cost containment mechanisms such as offsets and banking will become much more significant components of the cap-and-trade system. A recent whitepaper estimates the current market value at $2 billion annually, and anticipates that this will increase to $4 billion in 2015. To date, the California market has largely been viewed as an operational success, however, some have suggested the system has not yet experienced stresses that could result from drastic and unplanned energy use spikes—escalations triggered by weather events such as drought, hot summers, and cold winters. The Trust believes that the introduction of transportation fuels under the cap, coupled with allowance uncertainty and shortage of offsets, are likely to increase the demand for both allowances and offsets in 2015. California Air Resources Board (ARB) is on the verge of approving the new compliance offset protocol for rice cultivation projects. While land in Alaska, Hawaii, and the U.S. territories is not currently eligible for ARB compliance offset projects, The Trust finds it likely that portions of Alaskawill soon be eligible to participate in the forestry cap-and-trade program. Additionally, we anticipate nutrient management will be the next methodology type to be adopted as a compliance offset protocol in the agriculture sector, with the process of being adopted commencing in 2015. An avoided grasslands conversion protocol is likely to follow suit. "The rice protocol allows U.S. rice farmers to generate offsets to sell in California’s carbon market, providing a new source of revenue for growers while contributing to the state’s clean air goals. More importantly, it sets the stage for the ARB to develop an offset protocol focused on nutrient use efficiency which would apply to practically any crop grown in the United States,” said Robert Parkhurst, Agricultural Greenhouse Gas Markets Director for Environmental Defense Fund. Developments in the green bond arena will continue to advance the scope of these instruments used to finance climate change solutions, while meeting fixed income yield and risk requirements. Green bonds that fund projects or assets with climate benefits experienced exceptional growth in 2014 with $35 billion issued; triple the 2013 figure. According to Sean Kidney, CEO of Climate Bonds Initiative, the market is expected to reach $100 billion in 2015 and to treble again by 2018. Odin Knudsen, president and CEO for Real Options International, cautions that as the market expands there will also be a threat of greenwashing. Independent due diligence of green and climate bonds must be strengthened if the market is to prosper and fulfill its promise. Despite this, agencies, governments, municipalities and corporates are seeing the enormous opportunity that green bond finance offers to accelerate mitigation and adaptation efforts in our changing climate. It was just a few short years ago that observers questioned whether carbon markets would continue beyond the end of the Kyoto Protocol in 2012. Carbon markets have not only managed to survive, but slowly expanded, with longer term prospects for carbon suggesting that markets will continue to grow. Gov. Brown of California recently indicated that the state would announce plans to extend its market to 2030. Thus far, much of the activity has been at the state level, but in a post-2020 world, experts are predicting a shift. “… carbon pricing is going to have to start at the national level, rather than be cascaded from the top down. Many nations are pursuing such an agenda, including a number of emerging economies such as China, South Korea, South Africa and Kazakhstan,” notes David Hone, chief climate change advisor for Royal Dutch Shell. Even in countries where carbon pricing has struggled to gain a foothold, such as Australia, there is a strong belief of its inevitably. In fact, 80% of Australian businesses noted in a recent survey that adopting post-2020 carbon reduction commitments is key to maintaining relationships with trading partners. The shift in leadership back towards the national level is an encouraging sign for increasing the rate at which global carbon emissions are reduced. Naomi Klein’s new book, "This Changes Everything: Capitalism vs. Climate," illustrates the growing sense that after dragging our feet on climate mitigation policy for over 25 years, our time is up, and the consequences for inaction are larger than ever. This sentiment is reiterated in a recent report by co-chairs of the high-profile Risky Business Project, Economic Risks of Climate Change in the U.S.; and paired with the onslaught of recent climate studies and media coverage, people are starting to take notice. Further, research out of University of Michigan shows that a majority of voters from both sides of the aisle favor a carbon tax if the revenues are neutral or dedicated to renewable energy programs. In the U.S., the EPA is seeking to reduce emissions from coal plants through section 111(d) of the Clean Air Act. President Obama and President Xi Jinping of China also pledged to reduce carbon emissions after years of stalemate. The Trust anticipates that momentum will continue to build with further political action and increased public sentiment around climate change, leading up to the 2015 international climate talks in Paris. 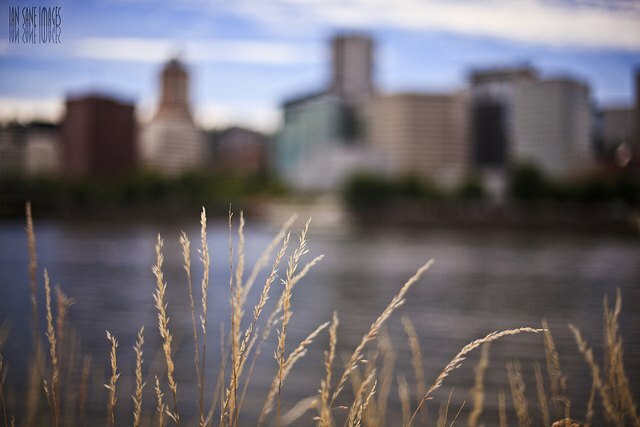 The necessity of adaptation measures may seem obvious to folks in green-conscious cities like Portland, Seattle and San Francisco, but perhaps not in other parts of the U.S. Frequently occurring weather disturbances such as heat waves and floods, and a prolonged drought in California—coupled with heightened awareness of fossil fuel-related pollution—will prompt cities and states to focus increasingly on carbon reduction mechanisms. Mechanisms could include options such as carbon markets, incentives, or taxes. In response to extreme weather, California and other states will increase adaptation mobilization, and look for innovative climate change solutions in land, water, energy, and other natural resources. In 2015, the Oregon legislature will determine whether to extend the state’s Clean Fuels Program, which requires certain levels of low-carbon fuels in the state’s transportation fuels supply. Given the outcome of the November elections, which gave the legislature a climate-friendly majority, it is likely the program will be approved—though not without backlash from fossil fuel interests, which will undoubtedly challenge the program on legal grounds. A similar program will be designed in Washington over the coming year as part of a suite of policies proposed by Gov. Jay Inslee of Washington. The discussion of a carbon tax in Oregon will heat up again in 2015 following the results of a state-commissioned study by the Northwest Economic Research Center. It is likely one or more carbon tax proposals will surface in the upcoming legislative session, though passage this year is uncertain as both Oregon and Washington consider alignment of a regional structure. With little hope that Congress will pass legislation to price carbon pollution, the Obama administration will focus on executive action directly through federal agencies. This trend began in 2014, highlighted by EPA regulation of carbon emissions from existing power plants through the Clean Air Act. On the heels of this announcement, the U.S. and China jointly announced new greenhouse gas emission reduction targets. To meet these new targets—emissions 26 percent below 2005 levels by 2025—further action will be needed. Meeting these new goals will likely require focusing on reducing potent, short-lived greenhouse gases like methane; the EPA is soon expected to release more stringent methane emission standards for the oil and gas industry. The USDA will also increase its focus on potent greenhouse gases, by providing additional public dollars to spur the development of agricultural digesters and reduce the nitrous oxide emissions associated with over-application of fertilizers. After invalidating a very small portion of credits from the Clean Harbor facility’s destruction of ozone depleting substances, the California Air Resources Board (ARB) will take a more measured, predictable and cautious approach to policing the offset market in 2015. ARB has used this invalidation to demonstrate to environmental groups that it is rigorously and closely monitoring the integrity of the offset market. To contain costs, ARB knows it must also enable a functional offset market. ARB will begin by clarifying how environmental violations must be directly related to projects, not downstream, in particular for forestry and livestock projects. With a clearer understanding of which potential violations could be grounds for an invalidation based on health, safety or environmental infractions, the perceived risk of invalidation will be reduced. Next year will be less about demonstrating rigorous oversight of the offset market and more about establishing a functional market that can bring high-quality offsets to scale. While national commitments have been few and far between the last several years, subnational jurisdictions have been active in designing and implementing carbon pricing systems. In Canada and the United States, policy actions to comprehensively price carbon have come from provincial and state governments. We anticipate that this trend will continue globally, as demonstrated by California advising seven Chinese cities/provinces on implementing a pilot system that will cover a population of 256 million. Heading into 2015, The Trust expects that states will increasingly examine and consider measures to address emissions from politically sensitive activities such as fracking and oil and gas pipeline construction. “In 2014, many of our predictions rang true, including the role of Big Data through the commencement of Field to Market’s agricultural data collection and the publication of USDA’s Greenhouse Gas Inventory Report,” said Sean Penrith, executive director for The Climate Trust. “The Trust also helped facilitate the first-ever purchase of carbon offsets from the avoided conversion of at-risk grasslands, building momentum for future domestic agricultural offset deals.” Penrith added his appreciation for continued support from the USDA through their Regional Conservation Partnership Program and their newly designated Regional Climate Hubs.